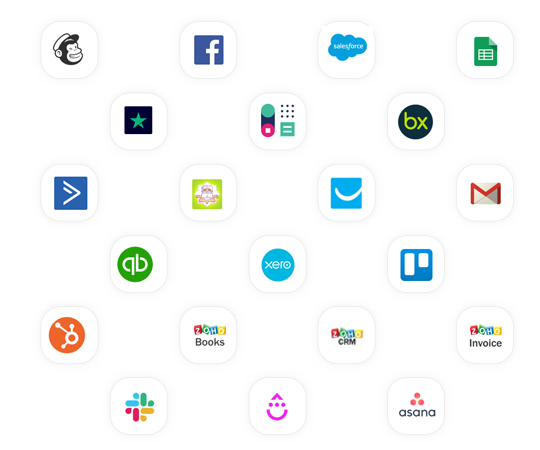 Simplify admin and logistics by automating your manual tasks such as email confirmations, tracking and reporting. Be that bit more organised in your day-to-day operations with TrekkSoft. Our back-office tools are made even more powerful with a live inventory. 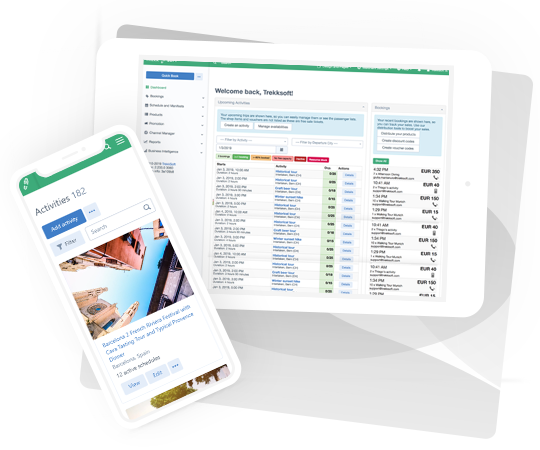 Get a clear overview of your upcoming bookings and available resources to improve your trip planning processes. Deliver exceptional experiences with tools that improve your internal operations. 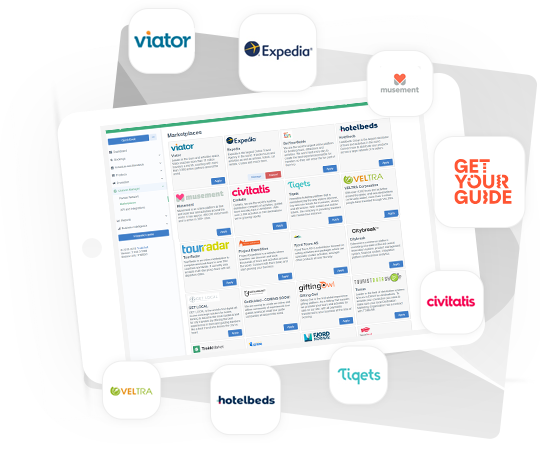 Use one system to manage all your sales channels, whether directly through your website or in-store; or indirectly via OTAs, in-destination resellers and travel partners. 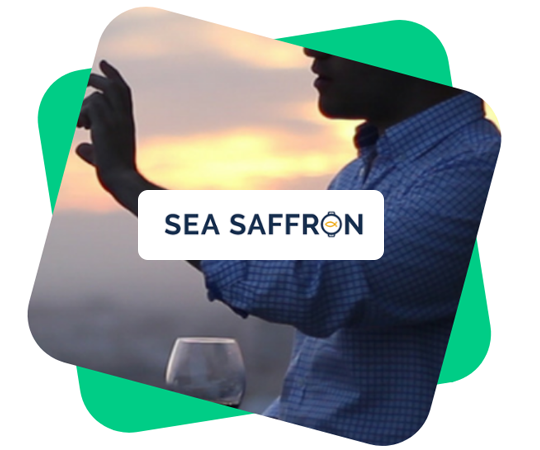 Set up schedules and capacities for your tours and TrekkSoft's booking system will automatically stop taking bookings once a time slot is fully booked. With a live inventory, your latest availabilities are also synced across your sales channels so you don't have to manually update your sales team, resellers and OTAs. 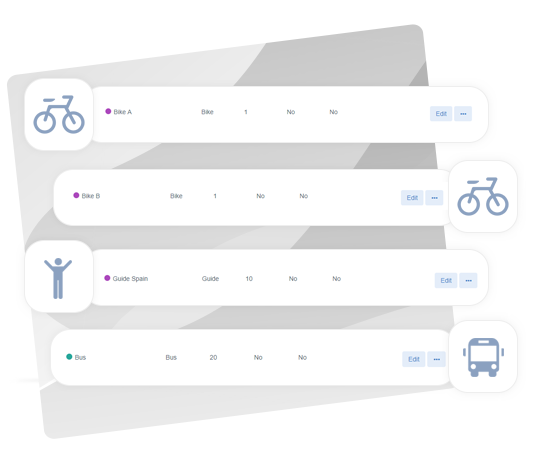 Our Resource Manager is the most reliable way to track your resources, such as guides, boats or buses, which are often used for multiple tours a day. Add guides to specific trips, combine bike tours with rentals or block out days for your boats when you need to get maintenance work done. 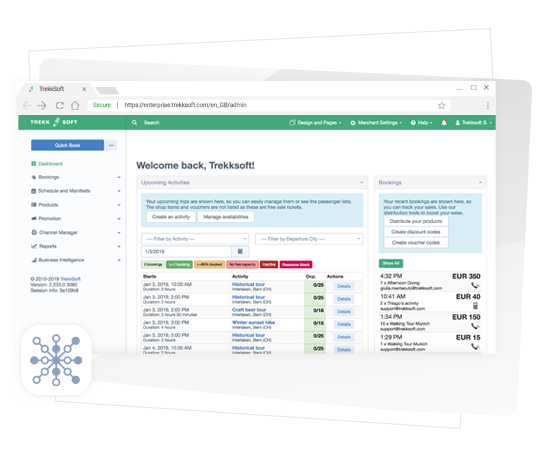 TrekkSoft's management tools allow you to automate much of your booking and management processes, saving you more time on admin. Set up your TrekkSoft booking system so that bookings are automatically confirmed upon payment. If you need to wait for a minimum number of customers before you can confirm a booking, that can be set up too. Once a booking is confirmed, let TrekkSoft automatically generate and send confirmation emails and PDF tickets to your customers. Got a bookkeeping or waiver tool that your business relies on? Connect TrekkSoft to these 3rd party systems with Zapier to automatically import booking data, sales data or customer data. Easy! Our back-office management tools are designed to give you a quick overview of your upcoming bookings, as well as a detailed record of each and every booking and payment. See all your upcoming bookings from multiple sales channels and track payment status for each booking. 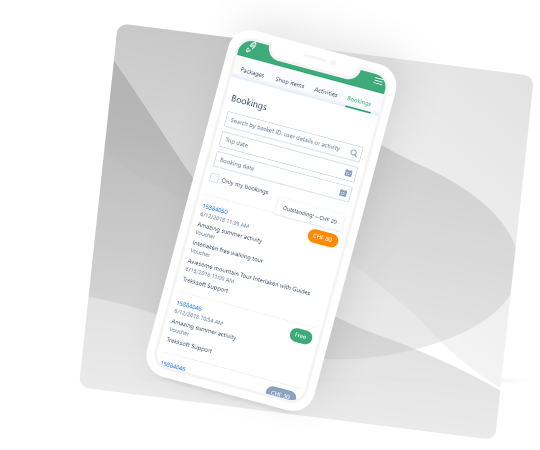 If you and your team want to manage bookings, rebook or issue refunds on-the-go, just use our back-end mobile app. Use TrekkSoft's Calendar View for a clear overview of the number of guests for upcoming tours. Use this information to guide your last-minute marketing strategies to maximise your resources. 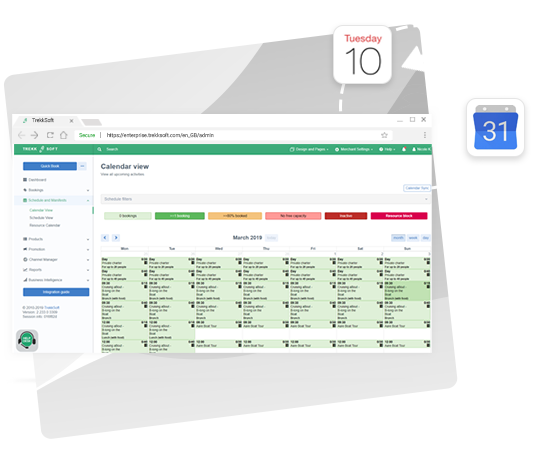 You can also sync all your trips with your favourite calendar, whether you use a Google, Outlook, or iCal calendar.